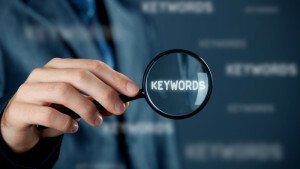 Home/SEO/Mapping keywords to match with B2B buyer intent – What’s the process involved? It is a fact universally acknowledged by clients that keyword research can be overwhelming at times. In the most basic form, keyword research will usually comprise of a sheet of hundreds and thousands of matching keywords and phrases. If you wish to make this list more deliverable and acceptable for your clients, you can categorize them with key phrases around some core themes, product categories and solution sets. From that category, you can start setting priorities on keywords based on the given metrics like applicability to the client and monthly estimates of search. However it is unfortunate that the client immediately gets frustrated and overwhelmed at the extent of information at hand and this is when they lose focus of the thing delivered as a part of their tactical representations. One of the effective ways in which you can target the right keywords is by mapping keyword recommendations to different levels of the B2B buying cycle. This strategy can become efficient in getting you client buy-in as they can effortlessly relate keyword opportunities to more familiar milestones. It can be taken for granted that there will always be a clear set of keywords which the client wants for his solutions, products and organization to be aligned towards. This tactic is meant to offer complementary set of keyword targets which can be leveraged in the prospective content marketing campaigns. When you successfully map keywords to the journey of the buyer, this makes SEO more vital for the continuous marketing initiatives. You may assess the objectives on a per-keyword basis in search intent and confirm applicability based on sales procedures and objectives based on the client. When you map keywords to the B2B buyer journey, this creates a chance for SEO professionals to remain relevant with their marketing priorities. If such strategies are implemented properly, this attempt can tie your SEO tactics closer to sales-oriented objectives.